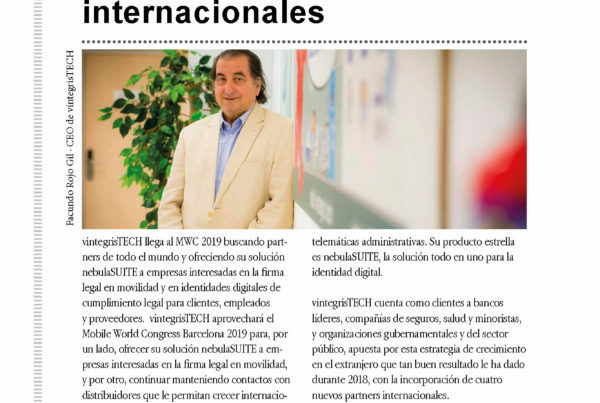 After attending last April at the RSA Conference in San Francisco; vintegrisTECH, Spanish manufacturer of systems and applications for the management of digital certificates, electronic signature and authentication – which has just received a certification that allows it to be certified as a qualified provider of trusted electronic services under Regulation (EU) No. 910/2014 on identification electronics and trust services (eIDAS) – will also participate in Infosecurity Europe 2018. 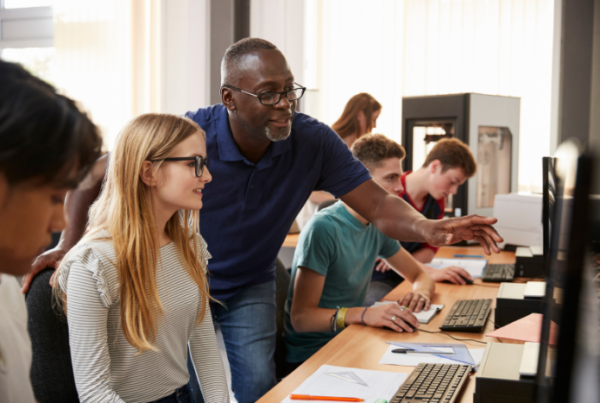 Infosecurity, the European reference meeting on information security and cybersecurity, will take place in London between June 5 and 7 and will have more than 400 exhibitors. In the same way, the organisers expect the assistance of about 20,000 professionals, and there will be more than 240 professional talks and conferences. 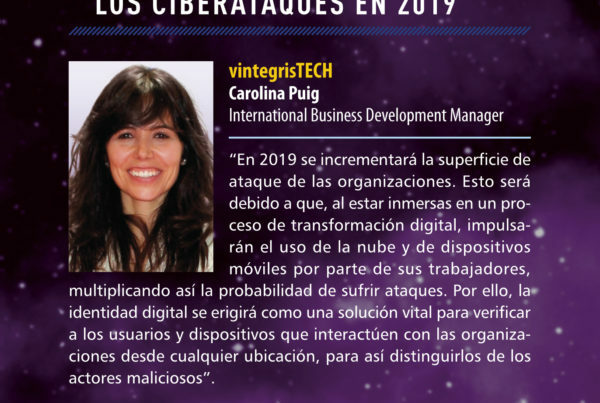 The team of vintegrisTECH will be formed by Pere Barba, Cloud & PKI Services Manager, Samantha Rojo, Community Manager & International Events Coordinator, Carolina Puig, Director of Marketplaces & International Business Development Manager and Facundo Rojo, Founder and CEO of vintegrisTECH. This time will be the fourth vintegrisTECH participation at Infosecurity Europe 2018, and this occasion, in addition to presenting the innovations introduced in nebulaSUITE, its solution designed for the integral protection of digital identity launched to the market last year, vintegrisTECH will present nebulaDISCOVER. nebulaDISCOVER is a SaaS service that provides a single access point to the monitoring of all certificates of a company. It is a global inventory list of all certificates used by the company, becoming a tool for monitoring discovered certificates and expiration management and which, in addition, is responsible for generating customizable expiration alerts for each certificate, assigning a list of emails that should receive alerts about expiration. 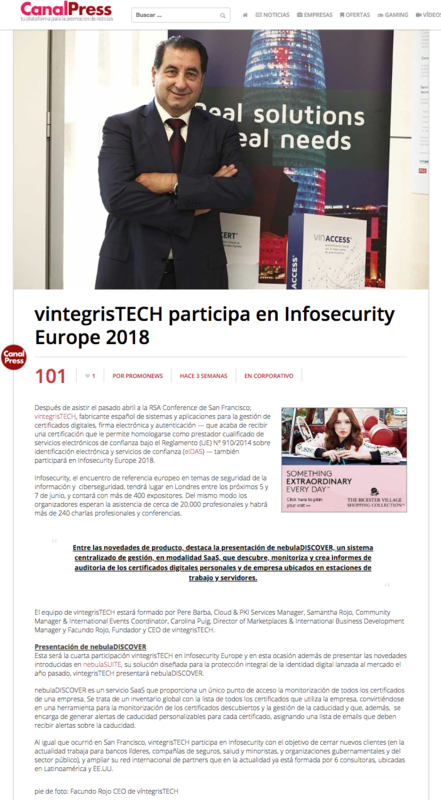 As happened in San Francisco, vintegrisTECH participates in Infosecurity with the objective of closing new clients (currently working for leading banks, insurance, health and retail companies, and governmental and public sector organizations), and expanding its international network of partners that presently consists of 6 consultants, located in Latin America and the USA.